If you’re looking for a freelance LAN engineer, AKA a Freelance Network Technician, Field Engineer is your one stop shop. 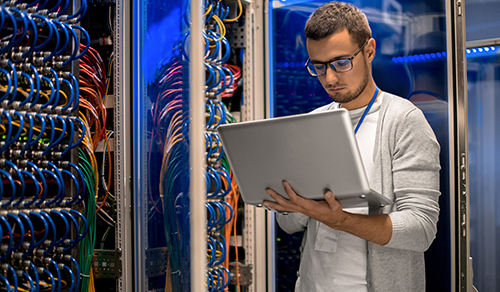 A network technician is an IT professional that helps with the creation, maintenance, and troubleshooting of present and future computer network hardware and software products. Using Field Engineer, you can find your ideal freelance LAN engineer in record time, and make sure they tick all of your boxes. Best of all? It’s free for you! With our innovative, user friendly platform, you can post job details, skills, and criteria. You will then connect across the globe to around 40,000 engineers who may be interested in the role. You are able to review profiles once you get interested applicants. and message them immediately using the system. Field Engineer doesn’t stop there, though. You can use our platform to manage your project; break the job down into different tasks, seeing which are completed, as well as an overall look at the schedule through the calendar function. This allows personalized project management for everyone in your company. Our innovative service and easy to use interface means that FieldEngineer.com paved the path for Businesses to hire freelance LAN engineers globally. Sign up and post your work order today and you could have the perfect LAN engineer in minutes. It’s free for you to use, and managing your projects has never been easier. What are you waiting for? Head to FieldEngineer.com and follow in the footsteps of countless businesses.